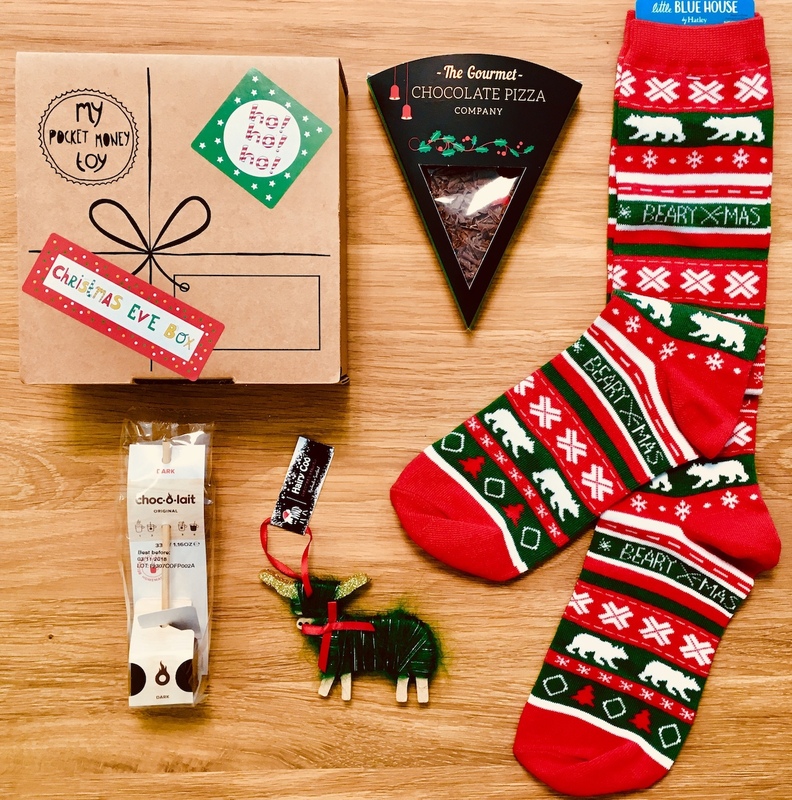 A mini Christmas Eve box to make sure everyone can join in the Christmas Eve fun, even mum! Contains a chocolate pizza slice, a Belgian hot chocolate stick, cosy Christmas socks and a Shaggy Stag or Hairy Coo tree decoration. Perfect for mum, dad or even grandparents! The Christmas Eve boxes contain chocolate products, please email info@mypocketmoneytoy.com if you require allergy free alternatives.